Recognize the need to protect. – If you are here, there is a good chance you already do, but just in case you “trust your kids” or think “they would never”, I hope that I can convince you otherwise. If you understand the need for protection, but you think your kids are to young, they probably aren’t. Take an inventory. – Make a quick list of every internet connected device in your home. Now, start a sheet of paper for each of those devices by writing the device name at the top. On each sheet list the following: Who has access to it, does it have access to an internet browser and does it leave your home. Internet browsers are available on many more devices than phones, computers and tablets. Many game systems have them now. See this web page for more details about which devices have browsers. Protect your whole network. – As with most types of security, the best approach is a layered approach. You want to start by protecting your whole home network, which means you start with your router. There are several SCP pages dealing with this topic but here is the main one. Also see the Router Filtering category to the right. Use built-in controls. – Now you are going begin protecting each device individually. As you do, be sure to add any user names, passwords and other information about each device to the sheet of paper you started. When you are finished keep the pages in a secure place away from your kids. First, you want to take advantage of the controls that the manufacturer provides. Some devices come with very limited controls and others are pretty substantial so see the manufacturer’s websites. However, for your convenience, many are listed in the following post: built-in controls for some of the most popular devices and game systems. Add additional protection as needed. – Now that you have your whole home protected and you have turned on any available built-in protection you need to determine IF additional protection is needed. There is no easy answer here. It will depend on the age of the child, what apps are allowed on the device, how robust the built-in controls are and whether the device leaves the house, etc. The iOS family settings give parents quite a bit of control, but you need to be sure if an app is allowed that it is safe and that Safari is set to restrict adult content if you allow Safari to be turned on. At a minimum, I would advise a “safe browser” product such as Mobicip for older kids who are allowed to have a browser. However, I highly recommend a product called Circle that gives parents added protection and control options — think layers, remember. There are other products that you can read about here as well. The good news is that most of the companies that produce parental control products, seriously want to help you succeed. Remember the sheet of paper and your note about whether the device leaves the house? If the device leaves your home, you cannot rely on the router protections to cover it when it is gone. Circle also offers a mobile product that protects when the device leaves your home network. Best practices. 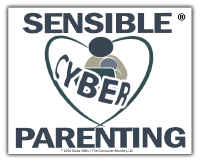 – Layered protection starting with whole network protection has already been discussed, but the next best advice that I can give for implementing a protection plan is to begin when your kids are very young and start with very tight controls. If you start young it is a way of life. If you start with tight restrictions, you can always loosen them. But once an app or website has been allowed, taking it away becomes difficult. Finally, a message for Christian parents: you are not alone in this battle. I believe that it is your responsibility as a parent to do everything you can to protect your kids with the resources that God has given you but you also have a Helper who has absolute power to intervene where your efforts fail, so pray and ask Him to help you. Please contact me with questions or share what combinations of devices and products have worked for your family. Perhaps those questions or comments can be used to help others in a future post.